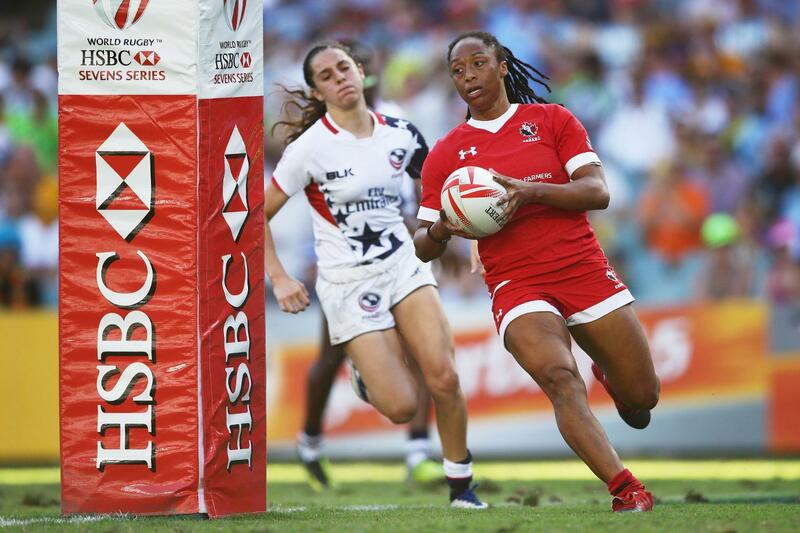 HSBC Sydney Sevens 2017 - Women Canada's Bianca Farella tries to evade the tackle of USA captain Alev Kelter in the HSBC Sydney Sevens gold medal match at Allianz Stadium on 4 February, 2017. Photo: Mike Lee / Rugby Fotos. HSBC Sydney Sevens 2017 - Women Portia Woodman scores a try for New Zealand in the bronze medal match with hosts Australia at the HSBC World Rugby Women's Sevens Series round at the Allianz Stadium in Sydney. Photo: Michael Lee @ KLC Fotos for World Rugby.